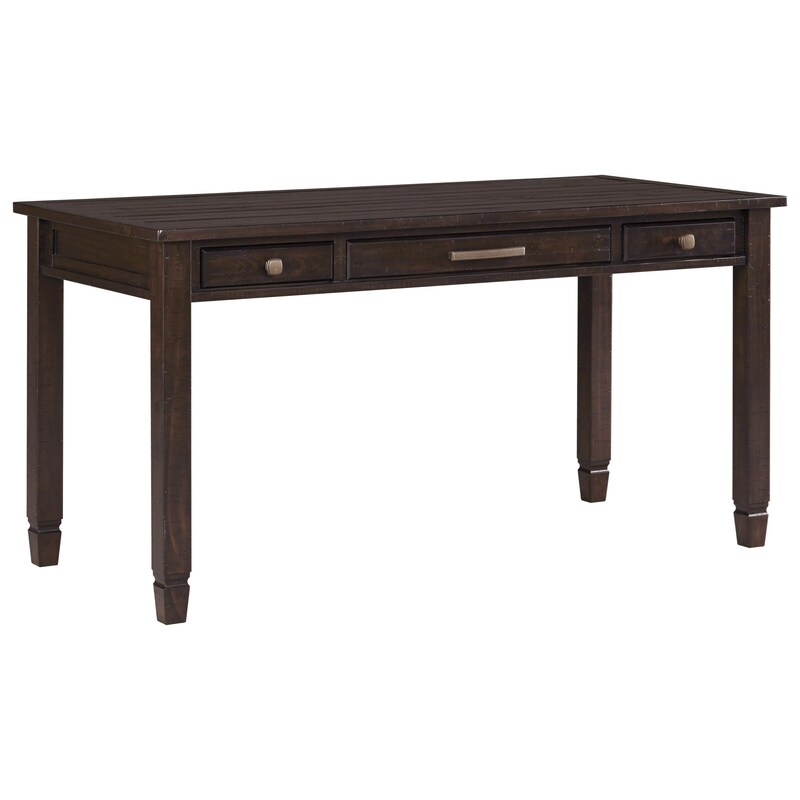 Constructed of solid pine in a waxy brown finish, this table desk is a sturdy and stylish storage piece. It features a plank style desk top, rough milled wood texture, and three drawers for storage. 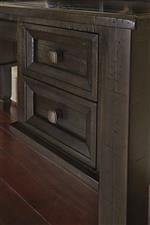 A bar pull and knobs in an aged pewter finish and tapered legs with a notched detail complete the look of this desk. The optional coordinating file cabinet is designed to nest under this desk. The Townser Solid Pine Home Office Desk with 3 Drawers by Rooms Collection Three at Rooms Furniture in the Houston, Sugar Land, Katy, Missouri City, Texas area. Product availability may vary. Contact us for the most current availability on this product. The Townser collection is a great option if you are looking for Relaxed Vintage Transitional furniture in the Houston, Sugar Land, Katy, Missouri City, Texas area. Browse other items in the Townser collection from Rooms Furniture in the Houston, Sugar Land, Katy, Missouri City, Texas area.